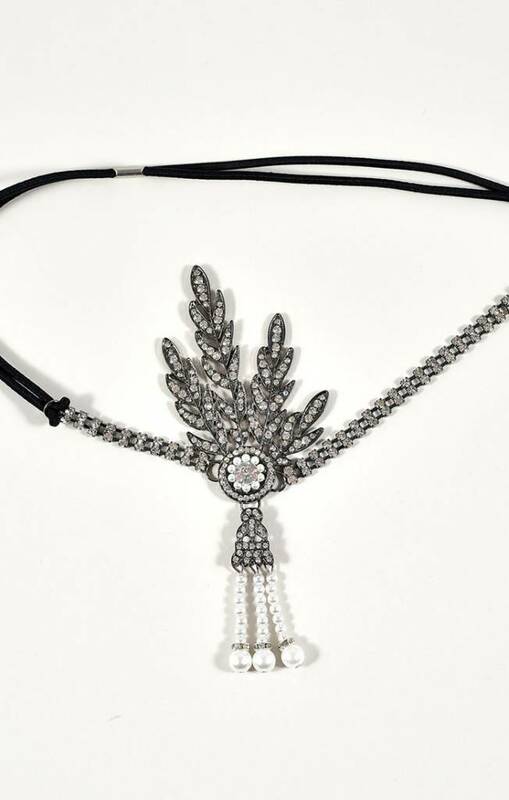 Stylized feather or leaf motif in rhinestones & ivory pearls making a tassel drop, flow forth from this Art Nouveau flapper headband. Black double elastic stretch cord. Classic and lovely accent for your flapper ensemble.